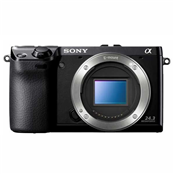 The Sony Alpha NEX-7 is Sony’s top-of-the-line interchangeable lens mirrorless camera and this is our first user review for the NEX-7. It was written by community member Greg McCary, one of my favorite photographers on the site and a man who knows his cameras. Greg owns Olympus, Leica and Sony cameras and he’s a very experienced photographer, so his opinions carry a lot of weight. I’ve been anxiously waiting for him to get his NEX-7 so he could write a review and I am pleased to give it some extra attention by making it a Featured User Review. If you own the NEX-7 or another Sony camera, please write a review so other photographers can benefit from your experience. User reviews are the foundation of PhotographyREVIEW.com and we need your reviews! I started out shooting the NEX series of cameras with the NEX3. Then I moved up to the 5n. Looking back I would have waited on getting the 5n since the NEX-7 was announced only a few days after I got the 5n. But after I pre ordered the NEX-7 the floods hit Japan and threw back release dates. Calmly I waited but even at that there was couple of times I almost canceled the order and picked up a new lens for my a77. Thinking I would just get the EVF for the 5n. But eventually it arrived. The first thing I noticed out of the box was the more rugged build quality than the 5n. Also the built-in finder. Plus the Sony hot shoe. Now I could use my Sony flash.